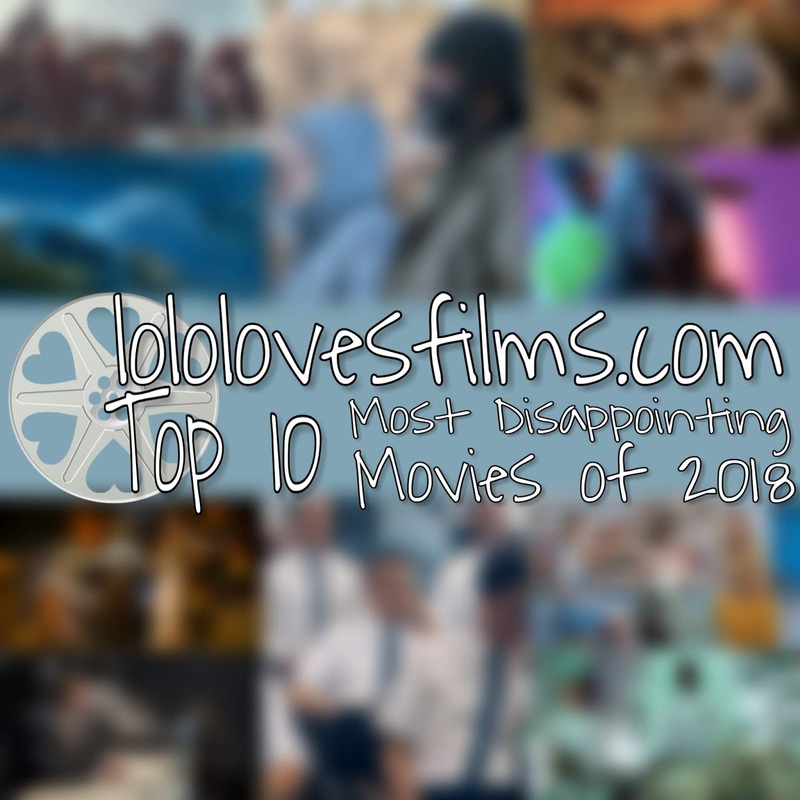 Top 10 Disappointing Movies of 2018! Whether we like to admit it or not, we all have expectations when we sit down to watch a movie. Sometimes, we get really excited for a new release because of the talent involved in a project, or stellar festival buzz, or glowing critical reviews, or even because of an awesome trailer. Unfortunately, not every film can be a slam dunk. Some turn out to be boring, mediocre, or even downright terrible, and these are the films that disappointed us the most in 2018. These aren't necessarily the worst movies of the year, but they fell short of our expectations. Keep in mind, our list will be different than yours, and while we're welcome to constructive criticism, please don't be rude if you have a different opinion than we do. Here's our list of the 10 MOST DISAPPOINTING FILMS OF 2018! Do you agree with this list? Which movies disappointed you the most last year? 10. 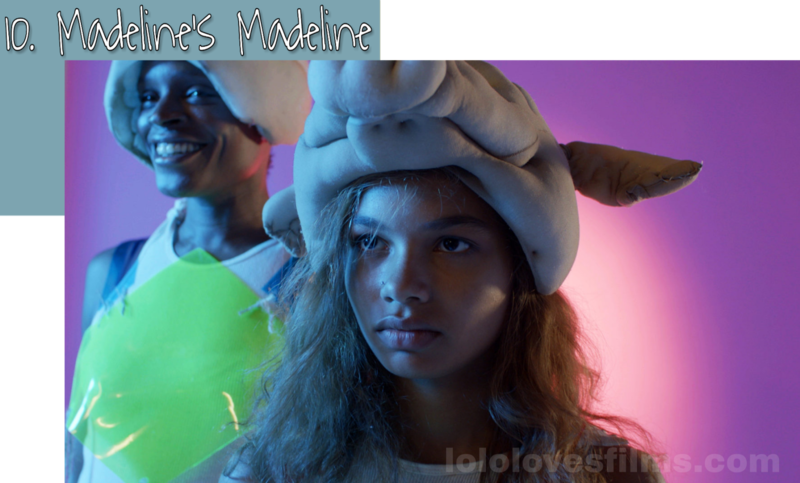 "Madeline's Madeline" - "Madeline's Madeline" may have slipped by completely unnoticed if it hadn't been for its immense buzz out of the festival circuit calling it one of the best movies of the year. It was even 'certified fresh' with critics on Rotten Tomatoes, so needless to say, we were looking forward to it. Unfortunately, we disagree with the critical consensus. For us, this movie was a pretentious mess that amounted to nothing more than a failed experiment and a misplaced attempt to be different and clever. Having a movie that's different doesn't inherently mean it's going to work out and be good. We appreciate the effort, but it didn't make for a pleasant viewing experience for us. 9. "Early Man" - Aardman Entertainment has a stellar track record with us. We have dug their past stop-motion animated offerings like "Wallace and Gromit: The Curse of the Were-Rabbit," "Chicken Run," and "Shaun the Sheep Movie." We were super disappointed when this turned out to be a cliche paint-by-numbers underdog sports romp. We knew exactly what was going to happen the second it started and the moment it ended. Most of the humor fell flat and only achieved the occasional chuckle since the best jokes were on full display in the trailer. 8. 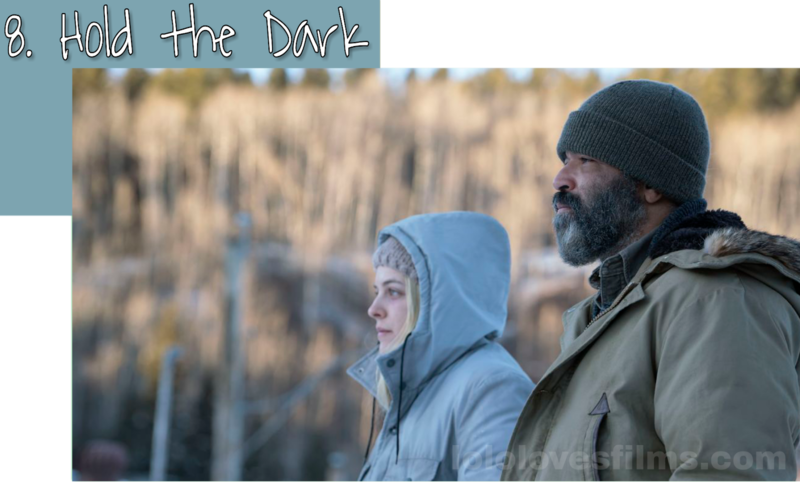 "Hold the Dark" - We have liked everything Jeremy Saulnier has directed until "Hold the Dark." We enjoyed "Murder Party" and "Blue Ruin," and we absolutely loved "Green Room." While it is true that he favors stories with a slow-burn, none have been quite as sluggish, dull, and pointless as this film. Despite its tremendous visual aesthetic, overall, we were left feeling like we wasted our time watching this one. 7. "The Meg" - We were hoping that "The Meg" would make for a dumb-but-fun viewing experience. Based on its first trailer, it sure seemed like it would be. Well, they got the 'dumb' part right, but somewhere along the way, it forgot the 'fun.' 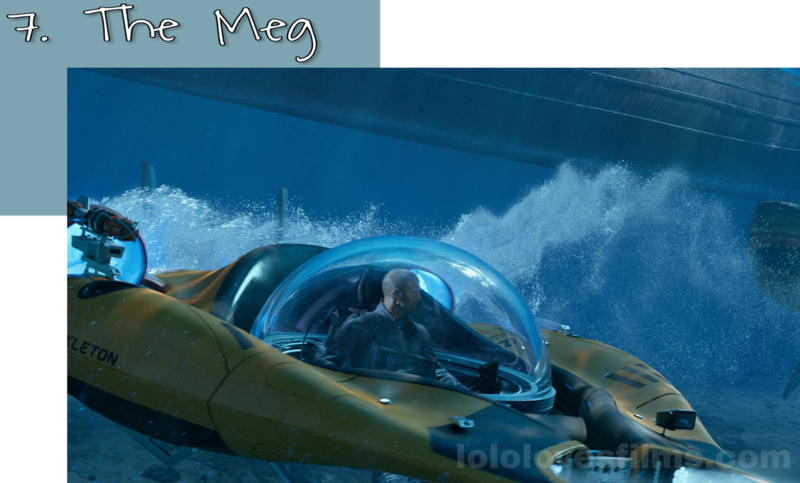 Aside from Jason Statham singing the "Finding Nemo" 'just keep swimming' song and delivering the word 'megalodon' in the driest way possible, there wasn't much to like about "The Meg." Its uneven tone and its inability to know if it wanted to be serious or silly turned this into a heaping pile of mush rather quickly. 6. "Pacific Rim: Uprising" - Guillermo del Toro's original "Pacific Rim" is a blast of a movie. We tempered our expectations when it was revealed that del Toro would not be involved in this project. Still, what could be bad about big robots fighting even bigger monsters? 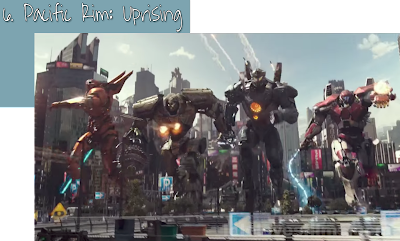 Apparently, more than we thought, because "Pacific Rim: Uprising" turned out to a big damn bore with only fleeting moments of entertainment. Some people will dig its mindless chaos, but we found it to be simply "clamorous noise with no life and no purpose." 5. "The Predator" - We are huge fans of the original "Predator" film from 1987. We're also fans of Shane Black and have liked much of his previous work. When we heard he would be directing this "Predator" sequel, we got ridiculously excited despite knowing that the other films in this series haven't been great. If one person could course-correct this franchise, it's the dark-comedy loving Shane Black! 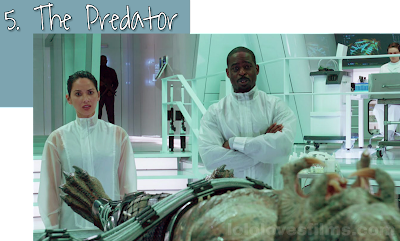 We were shocked when "The Predator" turned out to be pretty damn horrible. It's devoid of tension, full of unfunny quips, and has a script full of complete and utter nonsense. There is an overabundance of plotholes that contradict information that has already been established earlier in the same movie, which is a shock to us because Black is typically a very sharp writer. Beyond that, this movie has one of the most absurd, infuriating endings of 2018. 4. 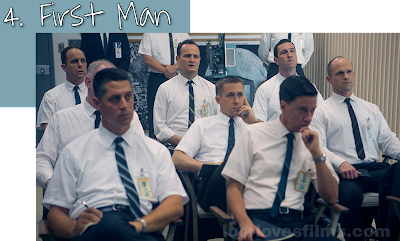 "First Man" - Please put down your pitchforks. We (and almost everyone online) thought "First Man" would be a surefire best picture nominee. It is directed by best director winner Damien Chazelle, it stars Ryan Gosling, it is written by Josh Singer (who was nominated for "Spotlight"), it reteams Chazelle with frequent collaborators composer Justin Hurwitz and cinematographer Linus Sandgren, and it's all about space exploration. We absolutely adored "Whiplash" and "La La Land." What could go wrong? Imagine our disappointment when this film turned out to be a total bore. Some have called this exceedingly moving, and trust us, we wish we felt the same way, but for us, it dragged through the most uninteresting aspects of Neil Armstrong's life. There are only fleeting moments of inspiration and excitement despite being visually stunning to look at. You know there's a problem when a film peaks in the first ten minutes and doesn't reign you back in until the last ten. We will have to revisit this movie in the future to see if time changes our opinion of it. 3. "Mamma Mia! 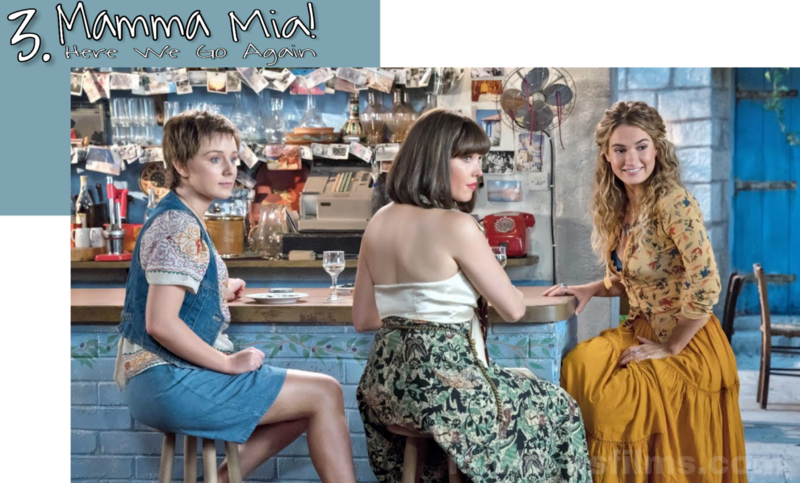 Here We Go Again"- Despite its less than stellar reviews, we loved the first "Mamma Mia" movie, so we got really excited when "Mamma Mia! Here We Go Again" started receiving mostly positive reviews. That excitement quickly faded the longer this movie went along its runtime. In the original, the music felt seamlessly integrated into the plot, but this time around, most of the songs just didn't seem to fit and amounted to nothing more than a series of music videos and forced character interactions. The writers here showed a complete lack of respect for the story that was set up in the first movie by rewriting much of the preexisting backstory, which felt like a slap in the face to the original. No amount of ABBA cover songs could save this film from being a humongous letdown. 2. 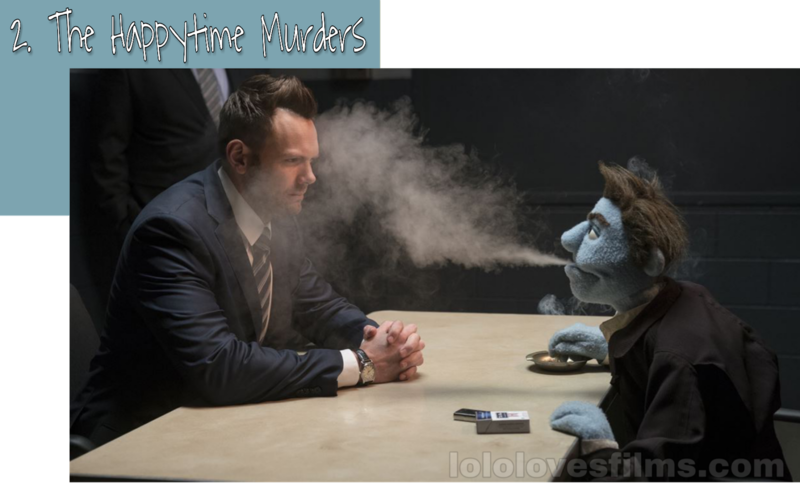 "The Happytime Murders" - Was anyone else looking forward to this movie, or was it just us? The concept for "The Happytime Murders" seemed like it would provide a lot of comedic gold. It's an R-rated noir murder mystery/comedy from the creators of The Muppets, and it stars Melissa McCarthy...sounded like a winner to us. Nope. It feels like this film never got out of the conceptual phase. It's pretty much a one-joke movie about puppets being dirty and raunchy. That would be okay if there had been other jokes, a decent mystery, and/or better characters, but sexualizing its muppet characters is really all they had to go on, and its appeal lasted about five minutes before we got tired of it. 1. 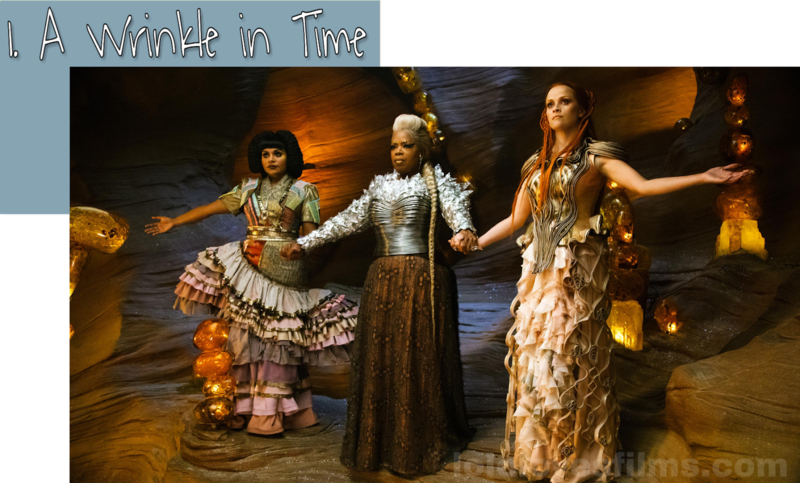 "A Wrinkle in Time" - We are huge fans of Ava DuVerney. We loved "Selma" and her extraordinary documentary "13th," so we were thrilled when it was announced that she would be directing a big screen adaptation of "A Wrinkle in Time." With a stellar trailer, an imaginative vision, and a cast including some of our favs like Mindy Kaling, Chris Pine, Gugu Mbatha-Raw, Zach Galifianakis, Reese Witherspoon, David Oyelowo, André Holland, and Oprah freaking Winfrey, we hoped for the best. Though it is visually striking at times, it's too bad that what wound up on screen was mostly a disjointed, incoherent mess. This was our first massive disappointment of 2018, and it, unfortunately, managed to hold on to that top spot all year long. We will revisit this one in a few years to see if we still feel the same way. What a bummer this one was.